All Shower curtains are 72"x72". 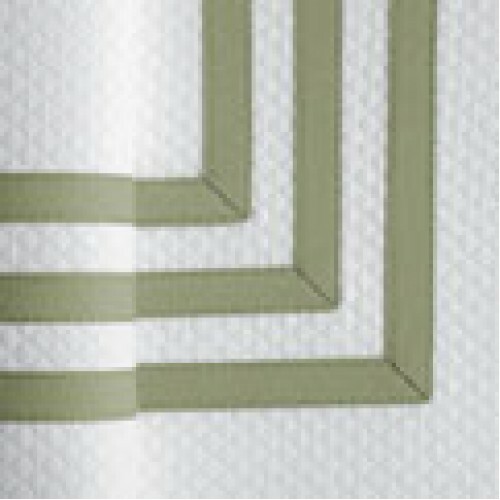 These shower curtains can be custom made in 60 colors from the Matouk tape chart. Please choose color of Pique fabric along with the tape color you would like. Monograms are done in Applique to match the trim color you choose.